for Artists, Business & Non Profits. 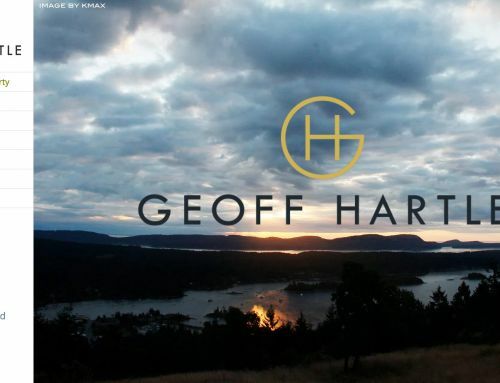 I recently hired Kenneth of Salt Spring Design to build a website for me. It was a pleasure working with him. Not only is he incredibly talented…both technically and visually, but his creative input resulted in a site that I am very pleased with. Thanks very much Kenneth, it was great working with you! Design and Build two web sites for Naomi Walker, based in France through the California connection working as a team with Naomi and Michelle La Penai. The first site is www.naomi-walker.com, and the purpose of the site is for Naomi to promote her services and make them more accessible to wider audience. The 2nd site, translation.naomi-walker.com promotes Naomi’s French to English and English to French translation services. Working as a team we created something purposeful, simple, stylish and functional. Both sites are fully adaptive and we also guided Naomi about how to edit the sites and keep them up to date. Both sites will have an excellent shelf life and be inexpensive and simple to maintain for the client. Naomi-Walker.com also includes a convenient events booking system and built in secure e-commerce. Ganga Giri is a world renowned didgeridoo virtuoso and innovator of a fusion of the ancient instrument with electronic beats, that has taken the dancefloors of the world by storm since the dawn of the 21st century. EarthWays was founded in 1985 to encourage personal awareness and social responsibility from a global perspective. We initiate small-scale projects that are cutting edge models for environmental preservation, human potential and sustainable development. The projects and educational programs seek solutions that protect our planet’s environment, contribute to social justice, and cultivate a deep respect for the interconnectedness of all life.